RedRock’s range of welding positioners provides the quickest means of both rotating and tilting through 360 degrees while allowing maximum access to the workpiece. Redrock are uniquely positioned to understand the pressures of the welding industry. We provide the best quality welding positioners to help our clients increase their through-put to gain a competitive edge. Every welding process needs to be streamlined to maximise efficiencies, improve processes, minimise rework jobs and keep your operators welding. Material handling is an overhead you can reduce by lessening the time your operators spend handling materials. 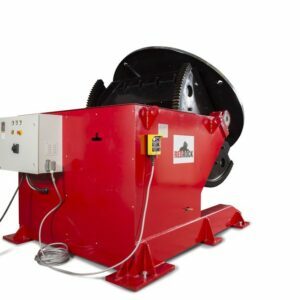 Redrock welding positioners will help your organisation get the best quality output from every weld operator on your team, regardless of their skill level. With our positioners, your operators will be able to make more welds in the flat position, rather than spending longer to get the same quality of weld from out-of-position, which is an advanced skillset that not all your operators may have acquired. 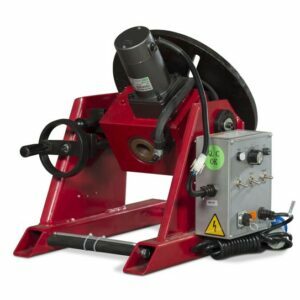 Our range of welding positioners enable your operators to perform superior welds from a flat and horizontal position with speed, precision and far less reworking required. 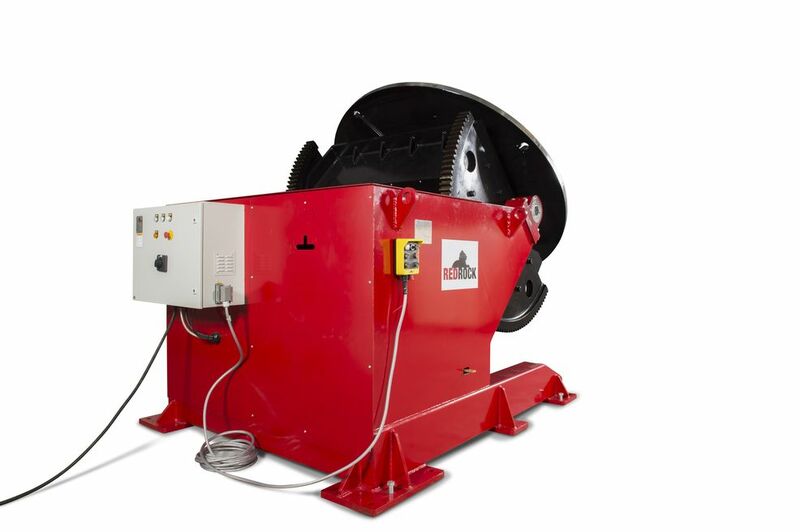 All Redrock positioners are robustly designed to withstand the most demanding of environments. 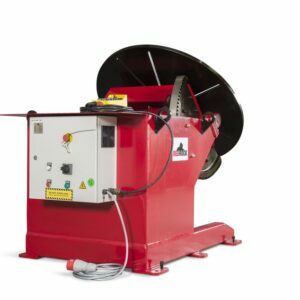 We have a range of sizes capable for small and large loads, and can be integrated with TIG, SAW, MIG/MAG welding processes, each suited to circumferential and longitudinal seam welding and with a 360 degree lockable rotation and gear tilt. Redrock have numerous models suited to different work environments. Every model across our range are robustly designed with 100% steel to withstand the most demanding of environments. Our 3-Axis hydraulic positioners and chucks range have adjustable rotation speed settings and high angle rotation, letting your operators manipulate the weldment to suit the application. 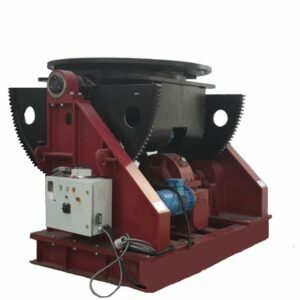 Heavy duty cradle positioners available for heavy loads and freestanding weld positioners capable of loads from 150KG to 100 tonnes. 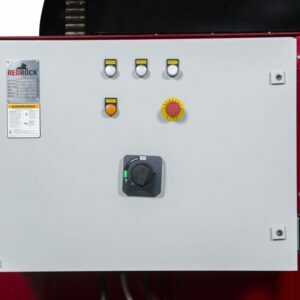 All our positioners have low voltage (24v) remote pendent control and enhanced safety features. 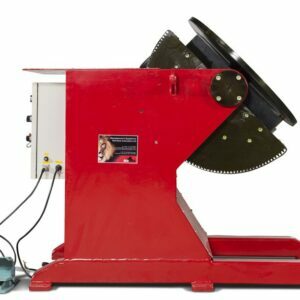 Equip your welders with the best equipment for the job and watch your productivity sky rocket. Better yet, you’ll benefit from better deposition rates and lower dilution rates. 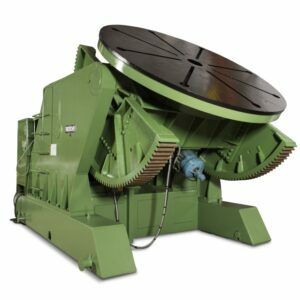 Redrock welding positioners can be integrated into many processes including ESW strip cladding and SAW welding processes. All our welding positioners are fully guaranteed and warrantied for three years. Get access to a team of highly skilled professionals knowledgeable in the latest technologies in welding automation! 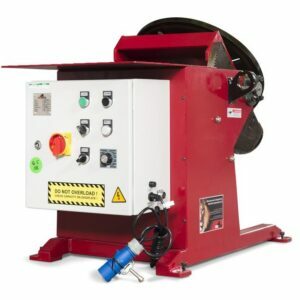 Whatever welding equipment you need, be it a welding positioner, manipulator, turntable or rotator – Redrock can service all your needs, anywhere in the world. Leave your information below and a member of the Redrock team will be in touch to give you more information about Redrock’s welding positioners.